E3 has come and gone without any sign of the Xbox's successor. But a leaked Microsoft presentation, dating back to August of 2010, seems to indicate that the oft-rumored Xbox 720 is definitely on the way, and is on track for a holidays 2013 release complete with Kinect 2, more set-top box functionality, and a pair of enhanced glasses. 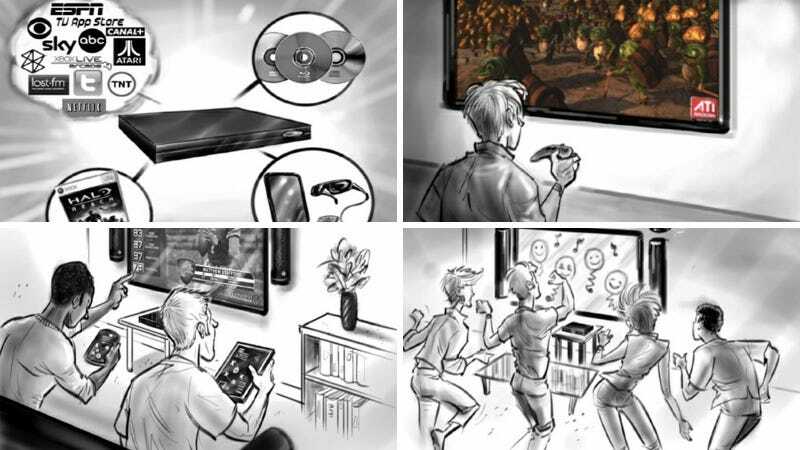 Some of the more obvious improvements to the Xbox 720 outlined in the doc include native Blu-ray support, PVR functionality, true 1080P support with 3D, improved processor and graphics hardware (through a continued partnership with AMD, formerly ATI), low power modes during media playback, and even an always-on mode. That last tidbit should help as Microsoft seems to be positioning the Xbox 720 as an all-in-one type media box by downloading content 24/7. And even access to broadcast TV and cable is hinted with mentions of PVR functionality. There's also indicators that the Xbox 720 will be able to connect to smartphones, tablets, and other Windows devices for sharing media, and even games across platforms. But given the nature of the gaming industry at this point, those seem more like 'must-have features' than just speculation about future technologies. However, the most interesting new feature in the presentation is a roadmap towards something called Fortaleza which appears to be a pair of wireless glasses that do more than just enable gamers and consumers to see content in 3D. It looks like they'll function as a pair of VR glasses taking content and games off the TV and into a player's environment. And while the first version—arriving sometime in 2014—will connect to the Xbox 720 hardware via Wi-Fi, future versions will instead use a 4G cellular connection so they can be worn anywhere. Seems an awful lot like a Google Glass competitor, doesn't it?